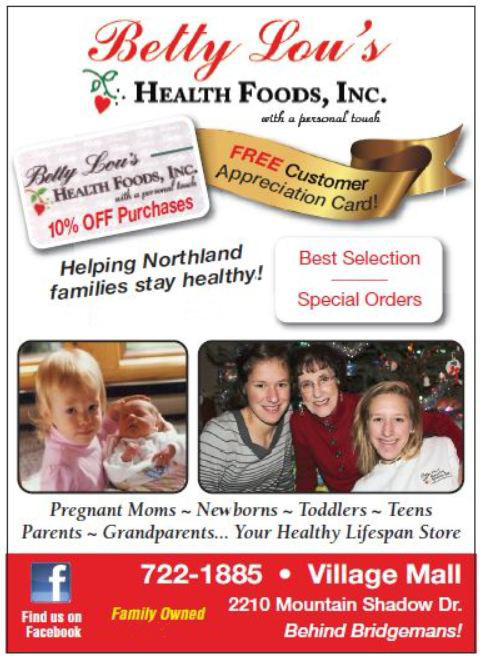 Promotion #1 - Betty Lou's Health Foods, Inc. The sweet aroma of coconut oil conjures up visions of sandy white beaches, aquamarine water and swaying palm trees. But coconut oil is much more than a delight for the senses; its a powerful source of nutrition. In fact, the coconut palm is often referred to as the tree of life among Asian and Pacific Islanders because of its wide range of uses from traditional medicines, to food and drink, to body and hair tonic and more. And today, new studies are revealing just how beneficial coconut oil is for your health and vitality. Incorporating coconut oil into your diet either on its own or as an alternative to low-nutrition cooking oils or spreads can result in a myriad of benefits. The special fatty acids that make up coconut oil are called medium-in triglycerides (MCTs). MCTs are widely used by high-endurance athletes and those with immune deficiencies because of their powerful energy-producing and healing properties. The MCTs in coconut oil are lauric acid, caprylic acid and capric acid. The compounds naturally found in coconut oil have been reported to possess a wide variety of health benefits. You've heard it before and its the truth not all fats are created equal! It seems counterintuitive that consuming fat can actually help you lose fat. But when it comes to coconut oil, you might just be surprised. The benefits of coconut oil lie in the high percentage (nearly 50 percent) of lauric acid contained in the oil. Lauric acid is one of the MCT superheroes that is used by the body to produce energy, rather than stored for future use. So, unlike most other fats, coconut oil is metabolized like a carbohydrate by the body to produce energy, rather than being accumulated and turned into fat. Because the MCT fatty acids are metabolized in this way funneled directly to the liver and converted into energy the body gets a boost of energy. They are widely used by high-endurance athletes. And because these fatty acids are easily absorbed by cells, metabolism increases. This burst of energy has a stimulating effect on the entire body. So consuming coconut oil can actually help increase your metabolism and, thus, help you lose weight. Several studies indicate that coconut oil acts as a potent antiviral and antibacterial agent. Here's how it works: The lauric acid in coconut oil has very strong antiviral and antibacterial properties and is great for people with immune deficiencies. It is able to kill harmful bacteria, yeast, fungi and viruses by penetrating and disrupting the fatty outside layer of these organisms. Some of the bacteria that it can kill are responsible for throat infections, pneumonia and sinus infections. The bacteria responsible for food poisoning, urinary tract infections and stomach ulcers can also be killed by the active ingredient in coconut oil. Capric acid, another medium-chain fatty acid contained in coconut oil, has been shown to have antiviral effects against HIV, as well as measles and herpes simplex, among other viruses. decrease the ratio of total cholesterol. Additionally, coconut oil can help by killing heart disease bugs. Yes, it's true, bacteria and viruses can and do cause some heart disease. It seems that certain bacteria and viruses can make their way into the circulatory system, and if the immune system is incapable of handling them, they can imbed themselves into the artery walls, causing a chronic low-grade infection. The infection irritates surrounding tissues, which causes inflammation, and consequently the thickening and hardening of the arteries. Coconut oil kills these bacteria and viruses by penetrating and disrupting the fatty layer that surrounds the organisms. Coconut oil has long been a staple in producing cosmetics, soaps and conditioners for lustrous skin and hair and with good reason. It is a wonderful moisturizer that can relieve dryness and flaking, prevent premature wrinkling, and ease the pain of sunburned skin. The medicinal properties of the MCT lauric acid have also proven to be helpful in healing rashes and acne. Coconut oil also makes a great massage oil because of its healing and nonstaining properties. It's no wonder that cultures that rely upon coconut for its wide range of uses are known for their soft, smooth, luminous skin and shining, healthy hair. Including coconut oil in your diet is simple. As a general guideline, use one tablespoon per 50 pounds of body weight. However, smaller amounts will still be beneficial; great results can be experienced with just one tablespoon per day. Coconut oil works well for cooking, especially for baking, sauting vegetables and making grilled sandwiches. It can be used safely at moderately high temperatures without the risk of creating toxic byproducts, and its light, subtle taste won't overpower other foods. Externally, coconut oil may be applied to the body to keep hair and skin soft and supple. It can also be used as a degreasing agent and make-up remover.